Currently debt free, Carrera is seeking to invest its cash reserves in midstream projects. Whether it is the acquisition of existing assets or grass roots projects, Carrera can move quickly. Carrera is known for efficient, well managed, and reasonably priced operations. Our operating philosophy has successfully guided Carrera and its partners through all economic conditions. With several generations of expertise within the company, our knowledge in operations, commercial development, and asset management are proven. Carrera is committed to the midstream industry and is well known for its pragmatic approach to commercial transactions. Please take a moment to explore the many ways Carrera Gas Companies can assist you with your next midstream project. 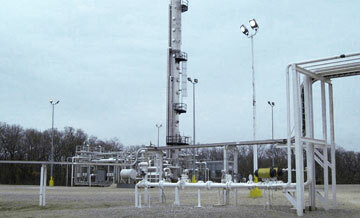 Established in 1995, Carrera owns and operates gas gathering, treating, and processing facilities. It is currently seeking to deploy its capital to expand the company beyond its current asset base. At present, Carrera’s facilities are located primarily in the Mid Continent. However, we continue to evaluate opportunities throughout the United States’ producing regions. Please click below for more details. 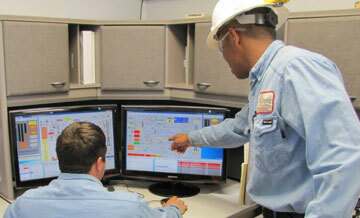 Carrera leadership is experienced and well versed in midstream operations and commercial activities. 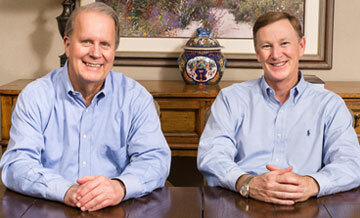 Shown left to right are the owners Bob Jackson, President, and Robert Mitchell, Vice President.